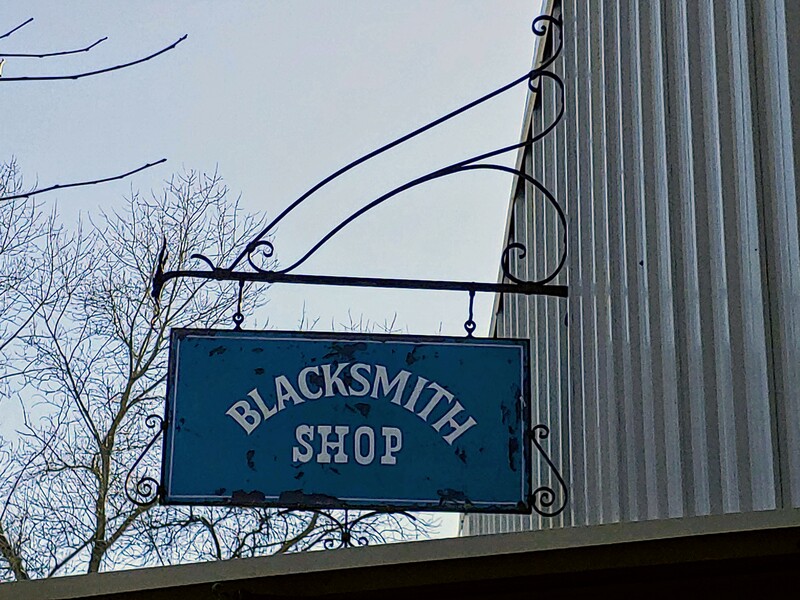 McLellan Blacksmithing provides a full range of services, from light structural through house jewelry, for the contractor, designer, or home owner. While specializing in forged architectural products, we try to meet the client's needs. A combination of forged and fabricated elements can usually be designed to achieve the look while keeping the cost reasonable. Looking to add more power to your smithy? Our treadle hammer kit will have you up and running in no time. Want to learn a craft that's 3000 years old and shaped the world in every age? In partnership with the California Blacksmith Association, our hands-on classes teach you everything from the basics to advanced tool making. 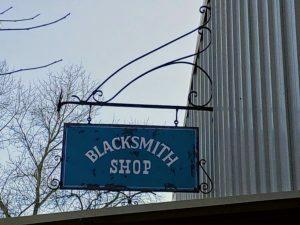 McLellan Blacksmithing began business in June 1977. Originally a "traditional" blacksmithing operation with a heavy emphasis on shoeing horses. 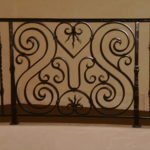 In the mid 1980's the emphasis shifted toward more architectural and interior design metalwork. Tastes had changed and metalwork was back in vogue. By the early 1990's the business had expanded to the point that it could no longer be run as a one man shop. A new site was located in Loomis, CA. 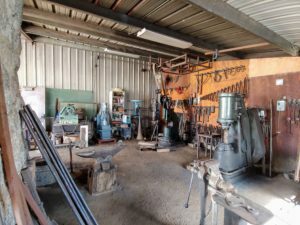 With the construction of a 4200 square foot building and adding employees, McLellan Blacksmithing met the demand for increasingly intricate and artistic designs for the upscale residences being built in the area. The shop is in a beautiful setting beside a year round creek. The forge area overlooks the creek and a beaver pond. The office and gallery area provide a space for clients to look at samples and discuss thier projects. There is a full machine shop on site to provide pieces for more demanding products, such as door hardware, as well as to keep the old machinery going. 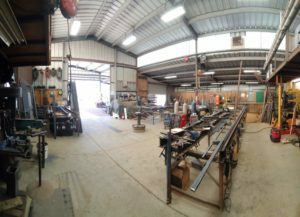 The center of the shop is the fabrication area where everything is assembled. Take a look at our gallery on our site. We would be happy to help you with your design.